Absolutely essential for every cannabis smoker: Rolling papers and tips! But don't think that's all there is to it: You can find companies today who specialize in making quality rolling papers that are 100% organic and natural, so you can have a pure smoking experience without chemicals and other harmful substances. The right rolling paper can also make a big difference in how your joint will burn. Here at Zativo we offer a wide range of quality rolling papers and tips so you can always roll the perfect joint! No real joint without 'em: Standard no-thrills cardboard filter tips. Simple, economic, affordable! These filter tips come in a convenient little booklet. Stock up and you will always have some on-hand when you need them! 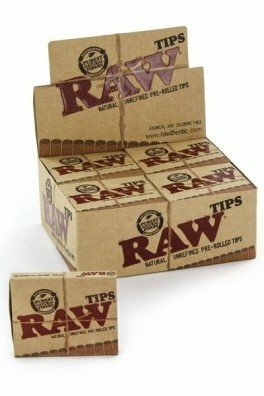 These excellent joint tips by RAW are made from 100% organic and natural hemp. Ideal for the eco-conscious smoking connoisseur! 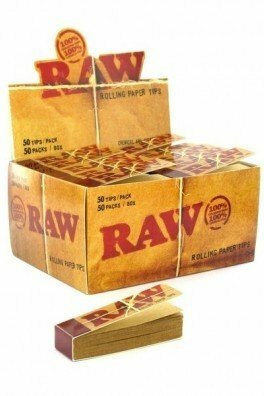 These top rolling papers by RAW are not just great because they are made from unrefined organic hemp and hemp-based gum for pure and untainted flavour. They come included with cardboard tips, built into the pack's topside, in a nice and closable booklet. 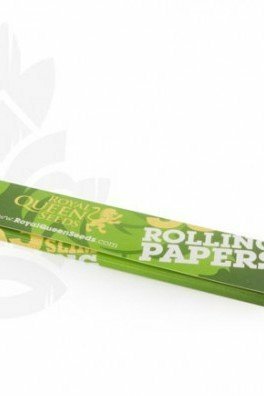 The superb king-sized DeLuxe rolling papers by Smoking stand out amongst other papers on the market. 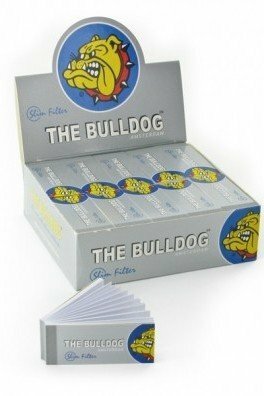 These quality rolling papers, made in Spain, are ultrafine and very slow-burning for an excellent smoking experience. 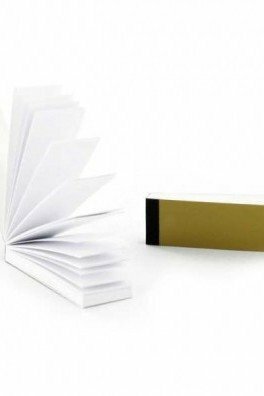 Amazingly thin, made from 100% natural plant cellulose and 100% biodegradable, some consider the transparent King Size rolling papers by Glass among the best rolling papers that you can get. 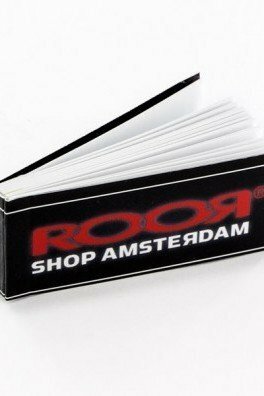 Each booklet contains 40 leaves each with a size of 108mm x 34mm for the perfect joint! 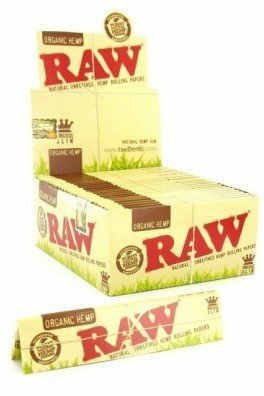 The king-sized Organic Hemp Rolling Papers by RAW are made from unrefined organic hemp and hemp-based gum for a natural, pure and smooth smoking experience. 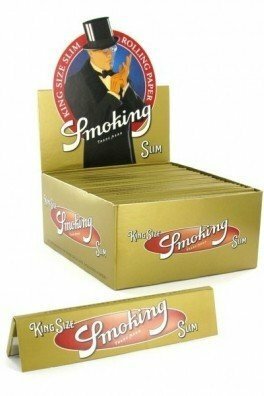 A favourite among many seasoned stoners: King Size Smoking Gold Rolling Papers! 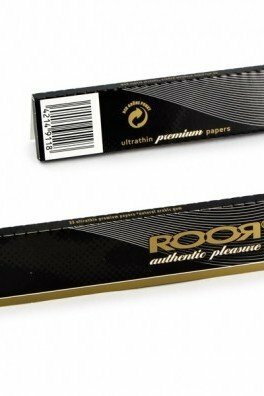 These quality rolling papers are ultra slim and super-lightweight so you can roll the best joints! 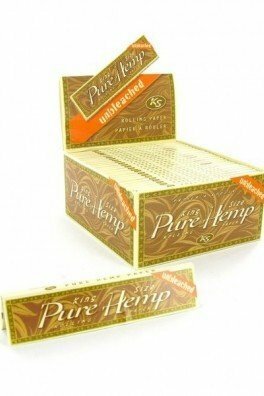 Made from 100% natural hemp fibres, these king-sized rolling papers are unbleached and chlorine-free for a clean, pure and smooth smoking experience! 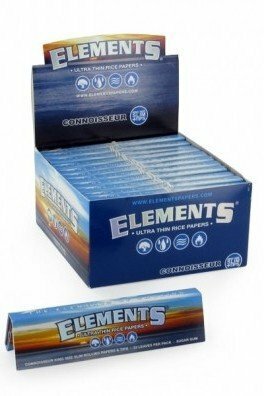 The Elements King Size Rolling Papers are among the purest rolling papers you can get. They are made from ultra-thin rice paper without chemicals whatsoever for the cleanest and most pure smoking experience. They are extra slow-burning for an even smoother taste. 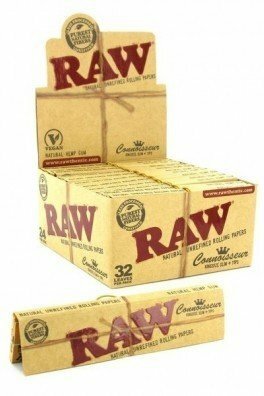 The RAW Rolling Tips Prerolled are top-quality rolling tips made from pure, vegan-friendly and all-natural materials. 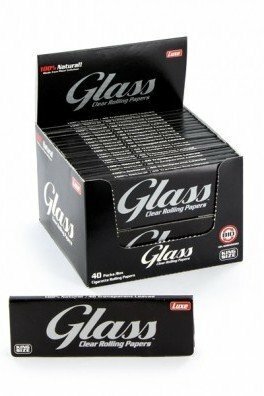 These tips are prerolled and come in a practical box that each contains 21 tips. Raw is known for making high-quality smoking accessories. 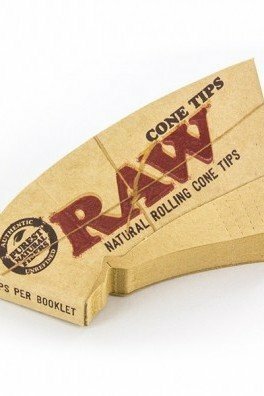 These cone-shaped rolling tips are no exception. They are chlorine-free and made from the purest natural fibers. The tips have creases for easy folding. Each booklet contains 32 cone-shaped tips. If you are a grower, you will most likely know the name "Royal Queen Seeds". No worries if you don't - these rolling papers by aforementioned seed bank are fairly priced and will suit anyone wanting to roll one, whether they are an RQS fan or not! The Bulldog is one of the oldest coffeeshops operating in Amsterdam. They present various merchandise, among them the King Size Slim papers. 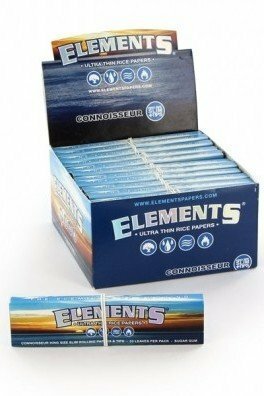 The pack comprises 33 high-quality rolling papers, which are able to contain substantial amounts of herbs. Roll one, smoke one, and have a good time. 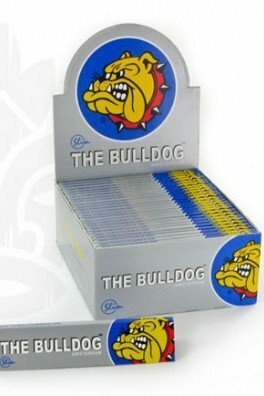 The Bulldog Coffee Shop presents their amazing roach material which is perfectly rollable. Upon rolling these papers into the perfect filter tip, one feels a sense of nostalgia from the last trip to Amsterdam. These booklets contain 40 tips. They can be split in half to create smaller filters. RAW teamed up with Wiz Khalifa to bring you some of the most natural rolling papers that you can get. The limited edition Wiz pack contains 32 first-class, unbleached RAW King Sized papers and tips. Quantities are limited so you better grab them while you can! The RAW Wiz Khalifa Loud Pack contains everything you need to make the perfect joint! The pack contains RAW papers, a built-in rolling tray, RAW tips, and a poking/packing tool. The King Size Slim RAW rolling papers are 100% natural and unbleached, and made with hemp gum.